Although we were slightly down on numbers this year the quality of play more than made up for it! The first group saw Jon Petersen & Simon Armstrong and Oliver Harris & Tony Bird qualify, followed by Stuart Allison & George Andrews and John Priestland & Tom Compton in group 2. Robert Dolman & Hereward Taylor and Carolyn Armstrong-Smith & Allan Adair in group 3 and lastly Tim Fooks & Alex Maccallum and Rory & Sebastian Scott in group 4. The quarter-finals were all close matches with some big handicaps in there and in the semi-finals the steady pairing of Armstrong and Petersen were undone by Rory and Sebastian Scott 6/2 with a 20 point difference in handicap and in the other semi-final Robert Dolman & Hereward Taylor played so well and managed to overcome a 24 point deficit against Tim Fooks & Alex Maccallum and win 6/2. The final was very close early on but Robert & Hereward were rock solid to close out the match 8 games to 3. Congratulations to them. 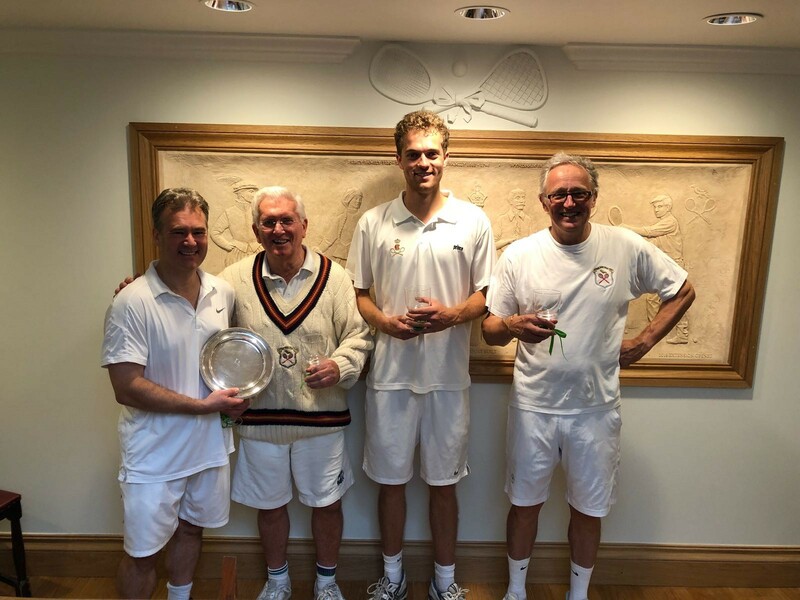 The finals day was enjoyed by all those at the club and a big thank you to Andrew Falk for lunch on Friday, to Lucy Hutchinson for lunches on Saturday and Sunday and also to Peter Swiss for supplying the wine. We look forward to a full tournament next year! !